Relax and enjoy all that this power reclining chair has to offer. Power reclining and the power adjustable headrest are controlled by a switch on the side of the piece and offer unlimited positioning. A USB port in the switch provides a convenient place to plug in and charge mobile devices from the comfort of your seat. Pillow arms and a full chaise cushion give you full body support, which is perfect for enjoying time at home with a book or in front of the television. 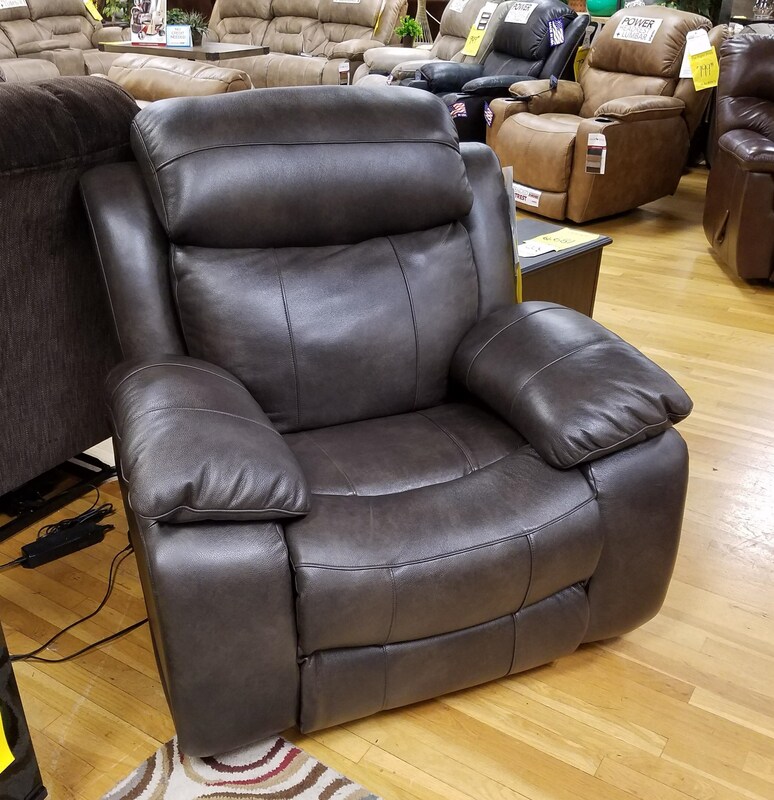 The 853 Power Reclining Chair with Power Head/Lumbar and USB Port by Stanton at Rife's Home Furniture in the Eugene, Springfield, Albany, Coos Bay, Corvallis, Roseburg, Oregon area. Product availability may vary. Contact us for the most current availability on this product. Promote casual style in your living room with the addition of the 853 reclining collection. Pillow arms and full chaise cushioning provides plenty of comfort and full body support. Power reclining and headrests offer total control of each reclining piece's positioning, so you can relax the best way possible. 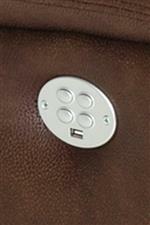 Enjoy the convenience of charging your device from your seat with USB ports in the power switch. Now including a multi-configuration sectional sofa for your home theater or family room. Bring 853 into your home for a more functional way to relax. The 853 collection is a great option if you are looking for Casual furniture in the Eugene, Springfield, Albany, Coos Bay, Corvallis, Roseburg, Oregon area. Browse other items in the 853 collection from Rife's Home Furniture in the Eugene, Springfield, Albany, Coos Bay, Corvallis, Roseburg, Oregon area.